This American Quincentennial: The 17 Best Episodes of "This American Life"
It’s hard to believe that WBEZ Chicago’s This American Life has been on the air for almost two decades. In that time, the show has compiled an impressive library of journalistic nonfiction and radio essays. 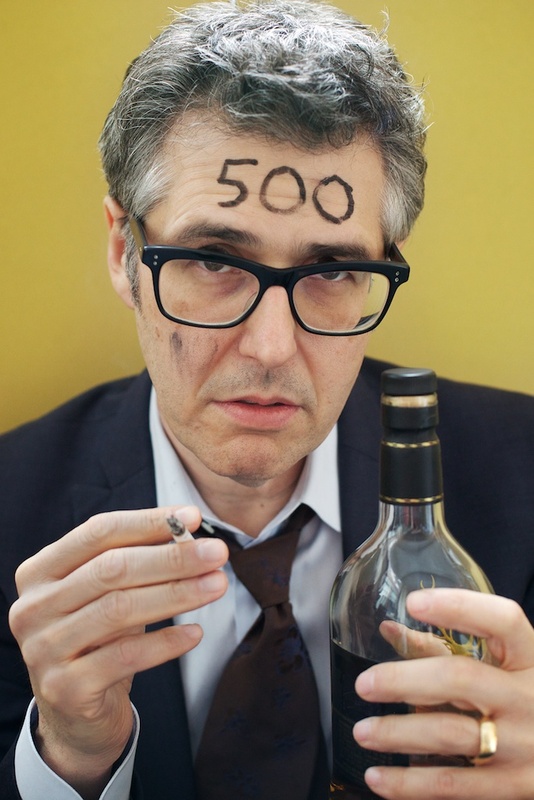 This weekend, TAL will release it’s 500th episode: a compilation of “the very best moments, and by that I mean the staff’s favorite moments of the last 17 years,” says host and producer Ira Glass. In honor of that impressive milestone, here are 17 of The Airship’s favorite episodes – one per year. This was the episode that started it all. Launched under the name “Your Radio Playhouse,” Ira spoke with Joe Franklin, host of the longest running talk show in television history; Kevin Kelly, the man who experienced his own version of divine revelation; and his own mom and dad. Being gay was by no means novel in 1996, but it certainly wasn’t as mainstreamed as it is today. TAL went above and beyond its reputation for alternative coverage by digging deeper into queer culture, examining the internal tensions surrounding “sissies” in the gay community. Described as “notes and stories about the Canadians among us,” this episode fully embraced the show’s now iconic quirkiness, while slyly blending in a dash of serious, cultural inquiry. “In this program, we attempt to bridge the gap of misunderstanding between camp people and non-camp people.” A Camp David Accords for suburban tweens everywhere. TAL producers camped out in a famous North Side diner in Chicago called the Golden Apple. For 24 hours (5 a.m. to 5 a.m.) they observed and interviewed its diverse patronage, proving beyond a shadow of a doubt that This American Life can turn any experience into an enjoyable story. TAL spoke with survivors and witnesses of the 9/11 attacks; one of the first media to lend coverage a truly human element. Scaling down its political coverage to fit inside a typical American office, TAL explored its endemic “greed, jealousy, and ambition,” officially confirming our suspicions that Janice in accounting has been stealing our yoghurt from the break room fridge. TAL producers shook up the usual format by successfully vacuum-packing 20 stories within the typical 60-minute time-frame. We’ve all had one. And if not, we certainly enjoy hearing about others’. Showing us once again that they’re no stranger to hard-hitting reportage, TAL headed down to New Orleans to bring us stories from Katrina-ravaged New Orleans. TAL combined humor and horror in this 2006 Halloween special. “True-life scary stories” were produced alongside a live performance by David Sedaris, in which he visits a morgue. Morbid hilarity ensues. In this episode, TAL brings us the shocking and little-known story of New York City’s “Rubber Room.” Here, public school teachers on probation report daily. With pay. For how long? Sometimes months, sometimes years. TAL descends on State College, Pennsylvania to bring us the story on The Princeton Review’s “#1 Party School” for 2009, Penn State. We all learned what a “fracket” was, and now we can’t un-learn it. “Can a rat crawl through your plumbing and end up in your toilet? Can your cell phone give you a brain tumor?” These are just some of the questions asked in TAL’s report on urban legends. Some are debunked, others are proven chillingly true. We’re seriously stumped as to why this hasn’t been made into a Lifetime Original Movie yet. Leading up to one of the most rhetorically toxic presidential elections in American history, TAL explored how the political started invading the personal in a superbly un-editorialized, un-slanted broadcast. Tune into This American Life on your local NPR member station this Saturday, July 12, 2013 for a roundup of the best segments of the past 17 years. Images courtesy of Flickr Creative Commons user Andrew Taylor and ThisAmericanLife.com.